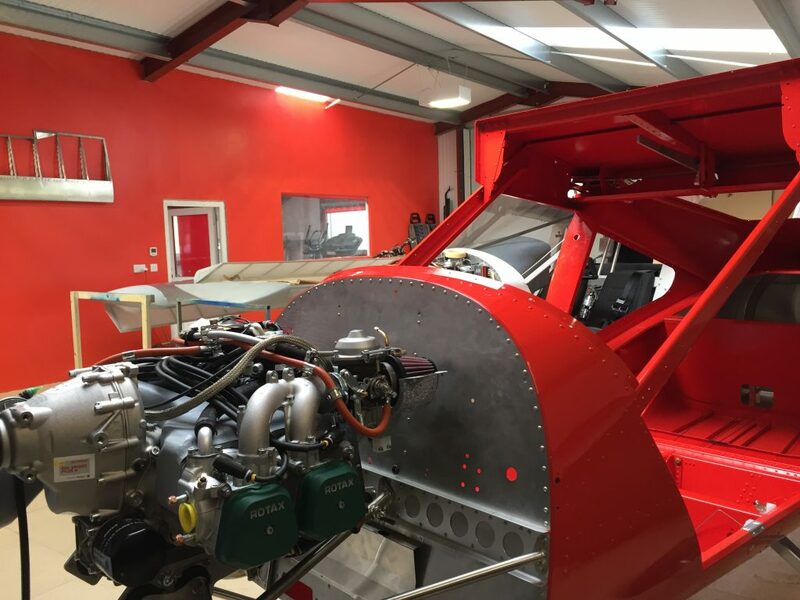 The new Dragon Aviation Workshop has been recently finished in ideal time for the arrival of the new A32 Vixxen UK demonstrator that has gone into immediate build for 2018 completion. The picture above shows the covering of the A32 wings and an A22 in for engine service. Whilst retaining the original facility (now used as Parts and Consumables storage) the all new purpose built Workshop has capacity for up to 3 simultaneous ‘builds’ complemented with ample power, lighting and state of the art underfloor heating. Everything is therefore to hand, including Lathe and Mill machines, for customers wanting to take advantage of the assisted build option offered by Dragon. Customers are invited to visit and see the A32 Vixxen during the build process to gain privileged insight into this remarkable aircraft. Whilst the A32 is a natural evolution of the A22; there are many design developments that make the Vixxen uniquely outstanding in its class as noted from the recent visit by Francis Donaldson (LAA). With comments of ‘military grade’ engineering at many levels, the Vixxen offers an “astonishing” redesign that, for example, negates internal cabin bracing along with the typical ‘v’ pattern tubes in the forward view (see pic below). More news to follow as the build nears completion, or come and see for yourself! Note the cabin bracing on A22 Foxbat (in background) compared to A32 Vixxen. Click here for A32 Vixxen overview.